It is that time of year again!! 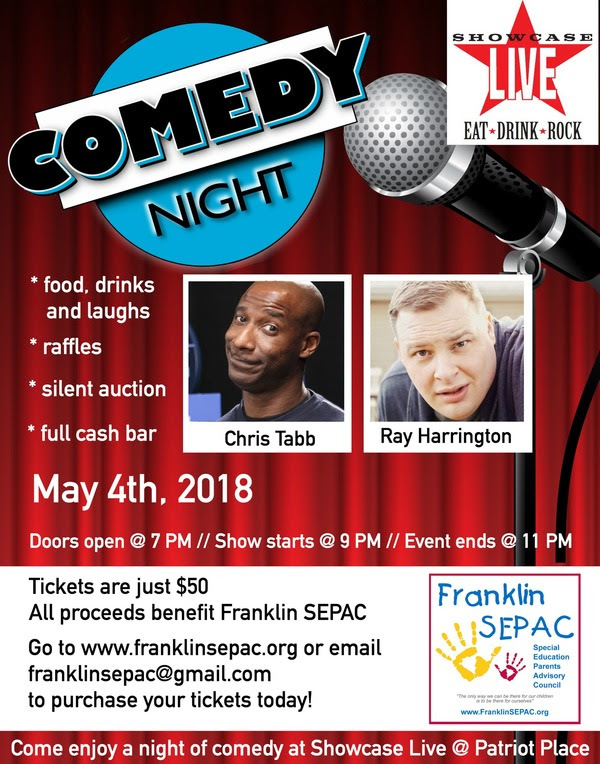 The 8th Annual Comedy show to benefit Franklin SEPAC is being held on Friday, May 4 at Showcase Live, Patriot Place. Enjoy good food, drinks, lots of laughs, and chances to take home fabulous items through the silent auction, food frenzy and raffle. All proceeds raised will fund SEPAC’s speakers and social events. 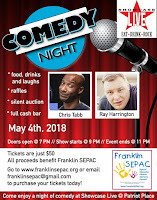 Tickets are on sale now on our website: www.franklinsepac.org!! If you cannot attend but would like to contribute, we welcome any and all donations. Please email us at franklinsepac@gmail.com with any questions.